Would you like to surprise someone with our exclusive Rolls-Royce service or indulge in being chauffeured by this most classic of all cars yourself? 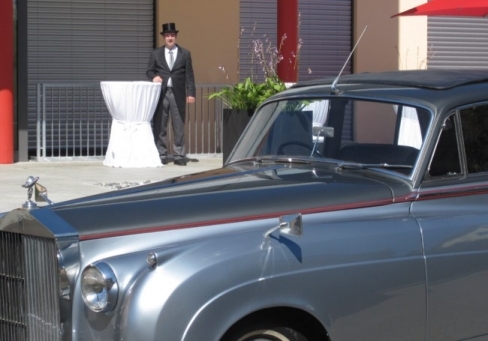 Our 1956 Rolls-Royce is at your disposal for special events – and comes with a suitably attired chauffeur. Then visit our on-site schnapps distillery! Here you can choose from a wide range of clear schnapps and liquors. Please do not hesitate to get in touch with us if you need further information!